full of old buildings. They have over 60 structures. A few were restored and had furnishings in them but most were empty and in pretty bad shape. The rangers were very friendly and full of info about this historic site! Bannack is a ghost town in Beaverhead County, Montana, United States, located on Grasshopper Creek, approximately 11 miles (18 km) upstream from where Grasshopper Creek joins with the Beaverhead River south of Dillon. 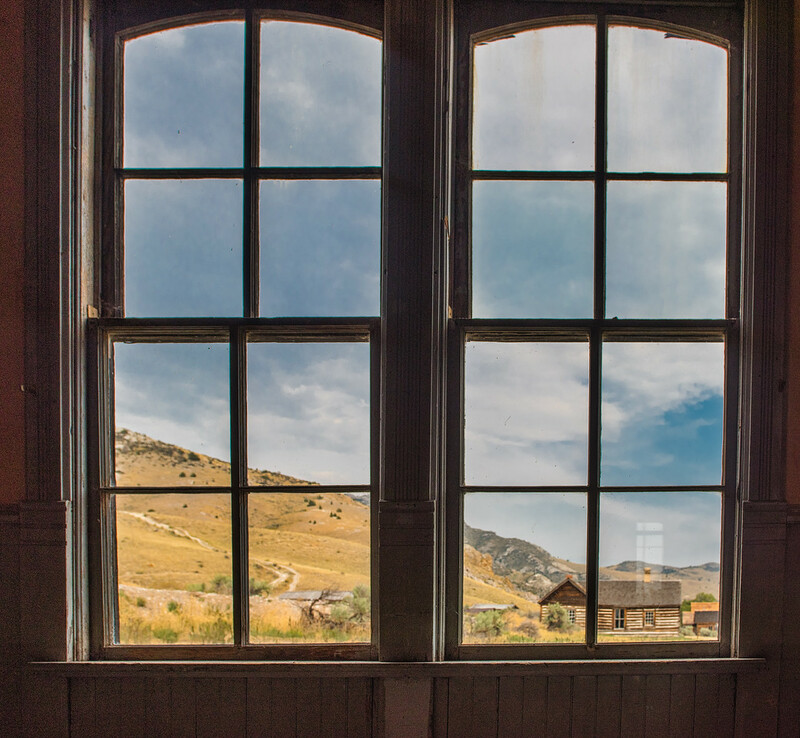 Founded in 1862, the town contemporarily operates as a National Historic Landmark and is managed by the state of Montana as Bannack State Park. 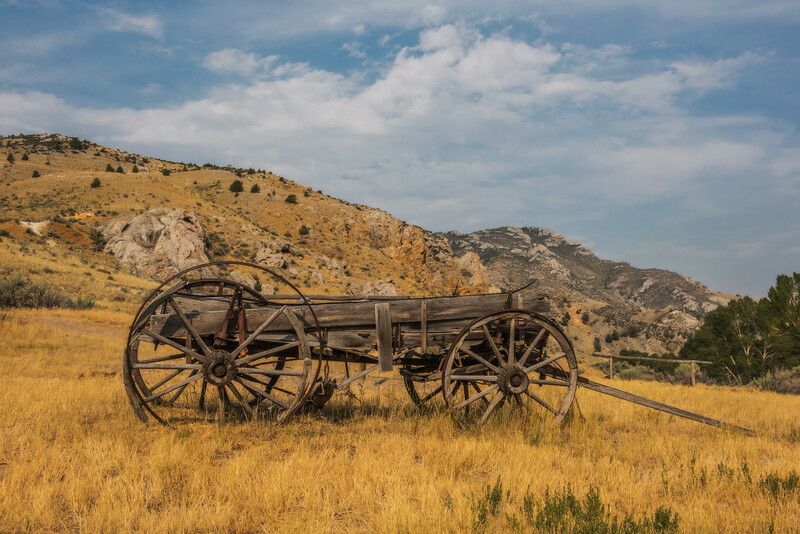 Bannack’s sheriff, Henry Plummer, was accused by some of secretly leading a ruthless band of road agents, with early accounts claiming that this gang was responsible for over a hundred murders in the Virginia City and Bannack gold fields and trails to Salt Lake City. However, because only eight deaths are historically documented, some modern historians have called into question the exact nature of Plummer’s gang, while others deny the existence of the gang altogether. In any case, Plummer and two compatriots, both deputies, were hanged, without trial, at Bannack on January 10, 1864. A number of Plummer’s associates were lynched and others banished on pain of death if they ever returned. 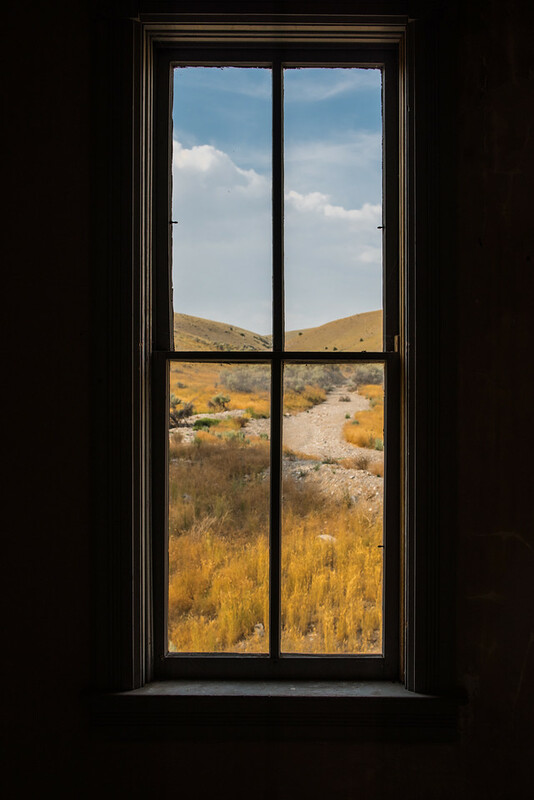 Twenty-two individuals were accused, informally tried, and hanged by the Vigilance Committee (the Montana Vigilantes) of Bannack and Virginia City. Nathaniel Pitt Langford, the first superintendent of Yellowstone National Park, was a member of that vigilance committee. 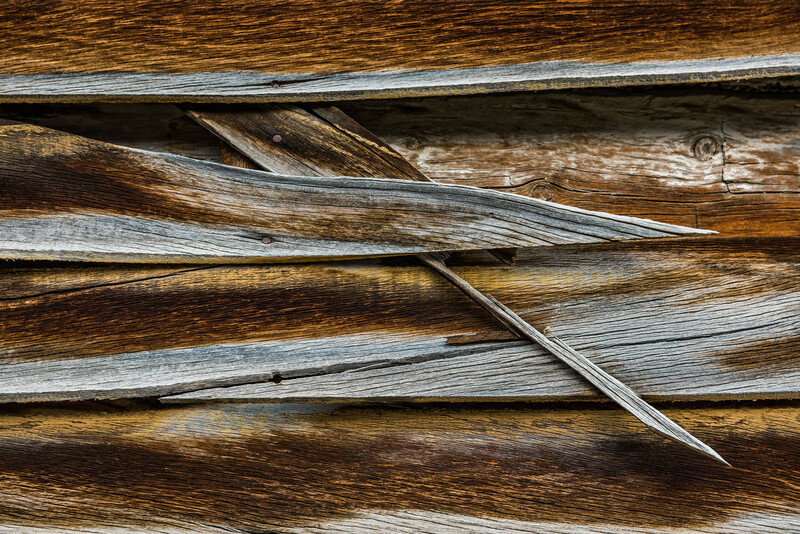 Sixty historic log, brick, and frame structures remain standing in Bannack, many quite well preserved; most can be explored. 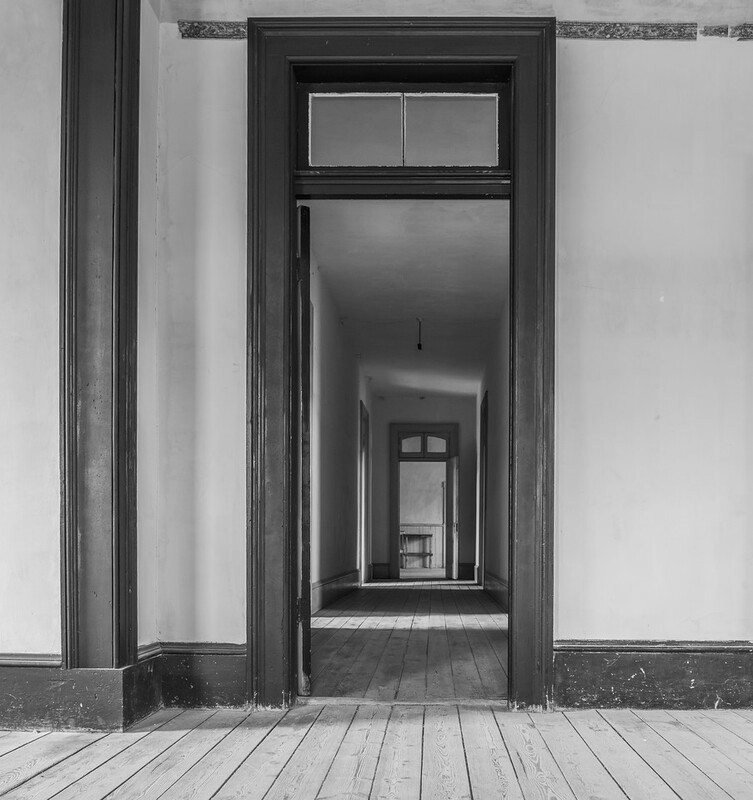 The site, now the Bannack Historic District, was declared a National Historic Landmark in 1961. 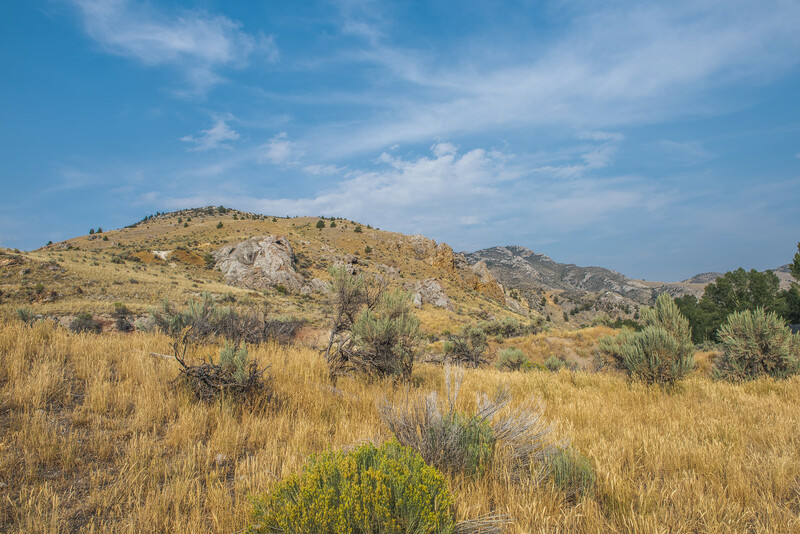 The town is presently the site of Bannack State Park. Though not particularly popular among tourists, this site remains a favorite for natives and historians alike. 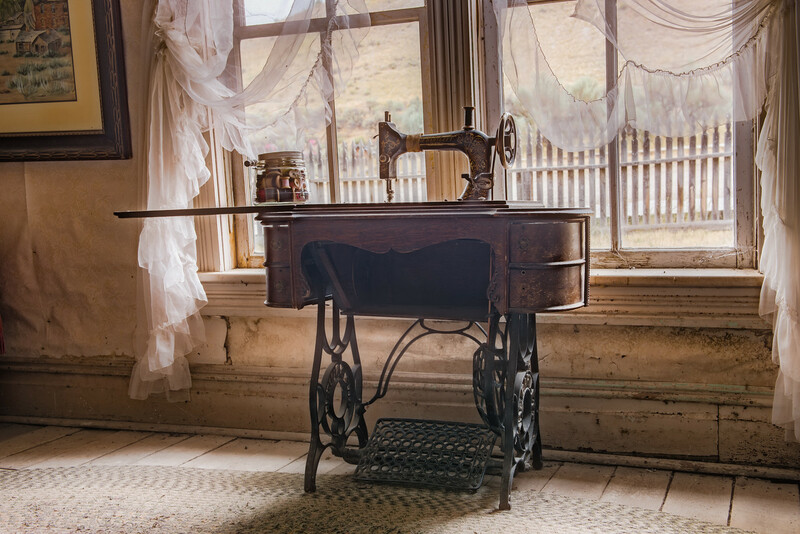 Sewing machine in one of the houses. 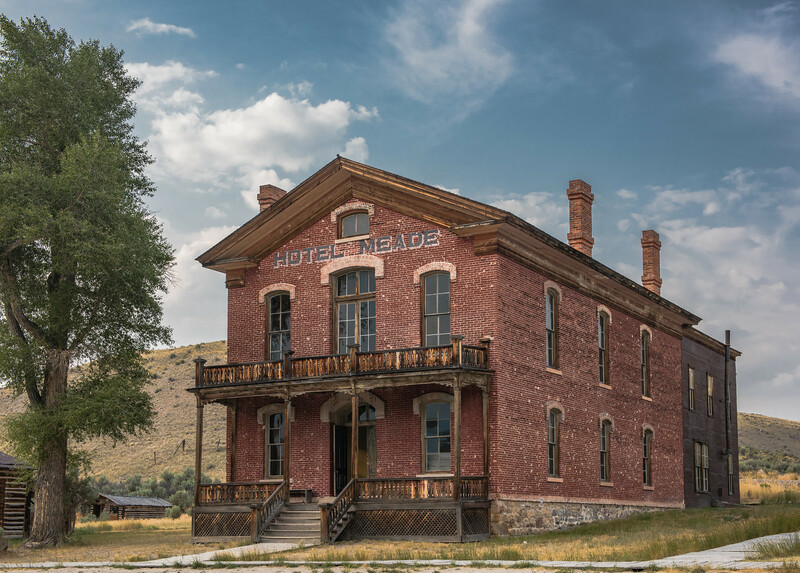 The Hotel Meade was a look back at what a hotel was like back in the 1800’s. The rooms were pretty small but they all had a great view of the surrounding town and landscape! There was a lot of gold mining equipment laying about but the old forms of transportation were more photogenic. 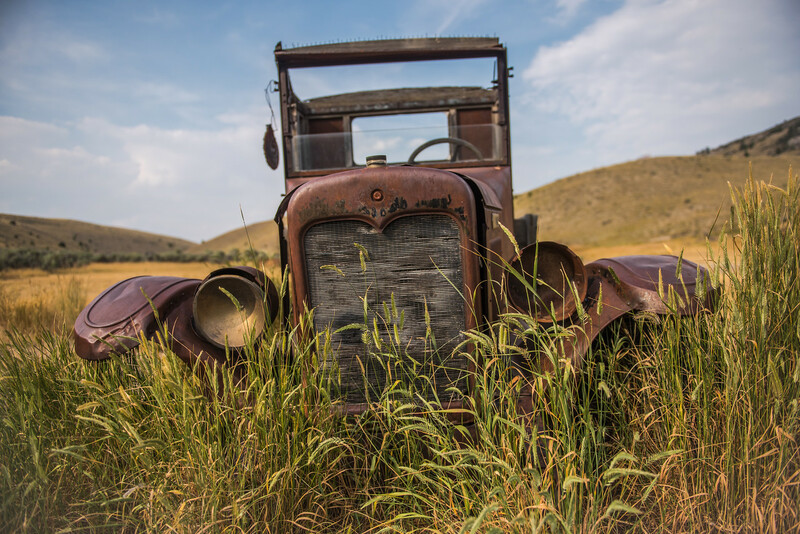 This old truck was almost hidden in the weeds! 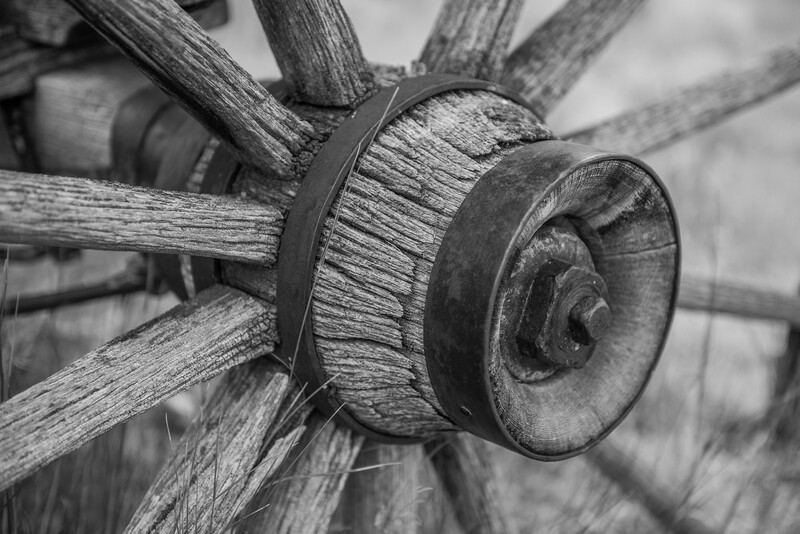 There were several old wooden wagons that made for interesting images. The landscape around the town was rough and beautiful. 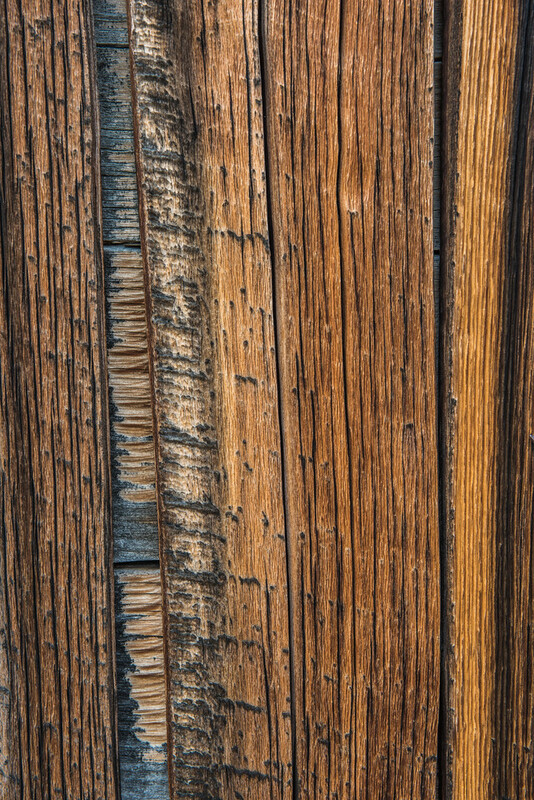 The old wood was another interesting aspect of Bannock. The textures were an added bonus to shoot as I ran around the town. This state park is a highly recommended stop if you are in Montana. 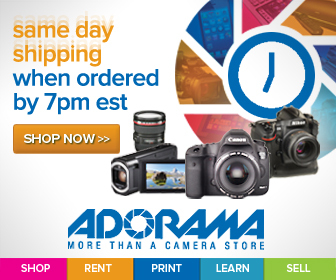 For details and events check out their website. They need the support to keep up the restoration work they are doing! 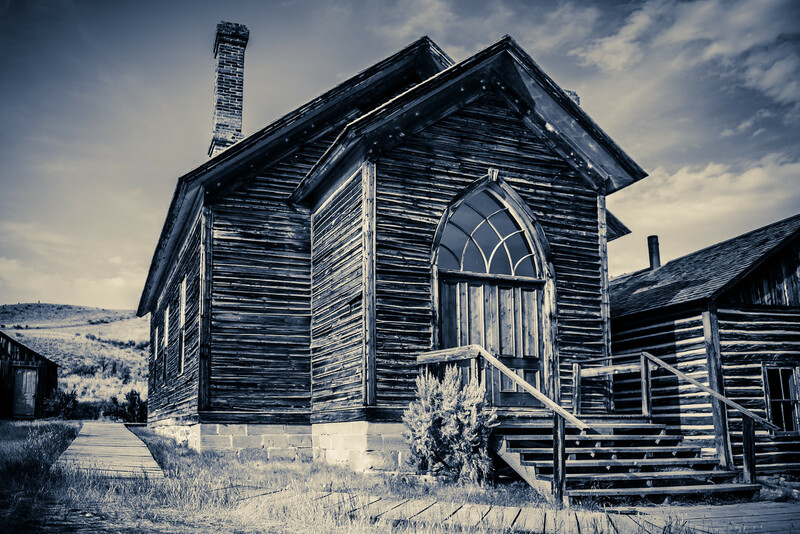 Please visit my gallery for these and additional images of this wonderful ghost town!